Global Marketplace Alliance (GMA) is a non-profit ministry (501c3) that is bringing the church, marketplace ministers, and civil government officials together to impact cities and nations for the Kingdom of God. GMA is networking and unifying kingdom minded business people throughout the world to bring transformation to the 7 mountains of influence by teaching, training and activating biblical business and economic principles to the marketplace. 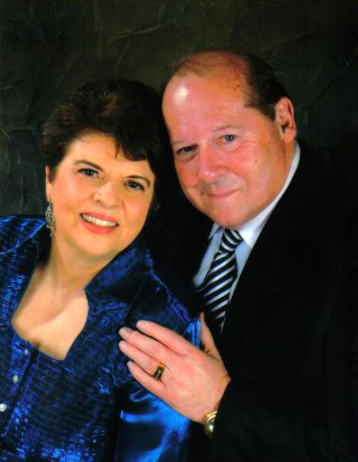 Pastors Larry & Brenda Bizette – Larry & Brenda are the founders and pastors of High Impact Church in Baton Rouge, Louisiana. The church began in 1990 and is a network church under Christian International Apostolic Network (CI). They were ordained by Dr. Bill Hamon and currently serve on the Board of Governors for CI. They are also the founders of Global Marketplace Alliance (GMA). GMA is a 501(c)3 ministry that focuses on uniting churches, marketplace ministers and civil government officials to transform cities and nations for the Kingdom of God. They have traveled to over 20 nations and ministered with an anointing, releasing financial breakthrough in churches, businesses and ministries. Pastors Larry and Brenda both teach, train and activate you to hear the voice of God, especially in the marketplace. Their ministry has touched several city, state and national government leaders for over 20 years. Larry was a Senior Vice President in the banking industry for 20 years and has a B.S. Degree from Louisiana State University as well as Diplomas and certifications from the School of Banking of the South and the University of Oklahoma Commercial Lending School. He also has a Masters Degree of Biblical Studies from Christian International School of Theology. Brenda has an Associates Degree in Biblical Studies from the Christian International School of Theology. She is a well-balanced teacher of Biblical principles, especially when addressing current social and cultural issues. Larry and Brenda have been married for 49 years and they have 4 children and 5 grandchildren. Copyright Global Marketplace Alliance © 2019. All Rights Reserved. Powered by WordPress and WordPress Theme created with Artisteer by ILG.